When did we become all about brows? I remember when I (shamefully) never filled mine in not so many years ago, but now its the one thing I can't forgo doing, even when its just a BB-cream-and-a -topknot kind of day. They are an absolute essential, so I'm always keen to try new products that promise to tame my arches. Benefit Cosmetics are well know as brow gurus, so an offering from them always has to be investigated. 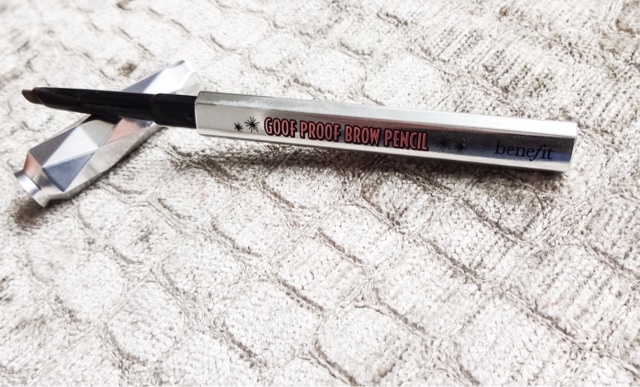 They recently launched their brand new Goof Proof Brow Pencil. Now, I like to think I'm an old hand at making the most of my eyebrows, but I still have days where they just will not go right, and that always ruins my mood. Well known for classics such as Gimme Brow and their Brow-Zings palette, which used to be the only thing I'd use to keep my arches groomed, Benefit have taken it a step further by producing a brow makeup in a handy, portable format that promises to be so easy to use, even brow novices can get to grips with it. They say: "Everyone’s an expert with this super easy filling & shaping eyebrow pencil. 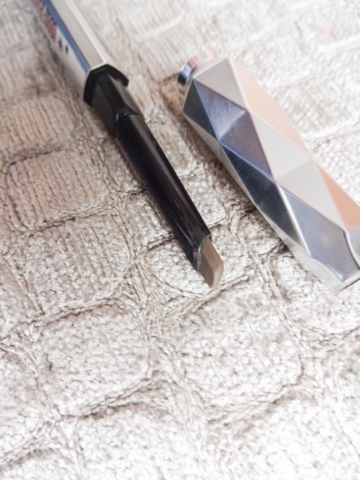 It features a custom, non-sharpen “goof-proof” tip, soft colour and a glide-on formula for easy & fast brow filling." The pencil is £18.50, which is quite dear for a brow pencil I think. However, with a creamy, waterproof 12 hour formula and a tip designed for easy filling and shaping, this might just be worth the spend. What price perfect brows? Goof Proof Brow Pencil certainly looks the part. It comes in a slim, metallic silver casing with a beautiful faceted lid that really makes it stand out. I like the way it feels in the hand and its easy to grip while looking great. I have the travel size version, but if you buy the full size, it also comes with a spoolie on the other end. That is an absolute winner for me, and I don't like brow pencils that don't come with one. They're essential for tidying up and shaping before adding the product and combing through after to get a natural look. The pencil is also twist up and never needs sharpening, which is brilliant - less fuss and less mess. The most brilliant thing about this pencil is the colour. The shade range isnt massive, but I believe its done very well. I have shade number 2 and I couldn't believe how good it look on. The shade is a very taupe, ashy brown without any red tones in it. This is a far more believable colour for filling in that a lot of others I have tried. While some of the cheaper brow products Ive tried and loved have performed well, a lot of them are just too red-toned. The shading of the Goof Proof Brow Pencil produces a far more flawless result, meaning I can rock this with a bare face without it looking strange as it tones really well with my natural brows. Sometimes I want something a little more dramatic, say for evenings out, but for day time this is perfect and is the most natural match Ive come across. Goof Proof Brow Pencil glides on really smoothly without dragging, as is a good balance - being creamy but not so soft its hard to control. The angled applicator did make it easy to get precise results - I used the sharp point of the tip to outline the shape I wanted and then the flat of it to fill in the gaps. This gave a really great, natural looking result that I was impressed with. 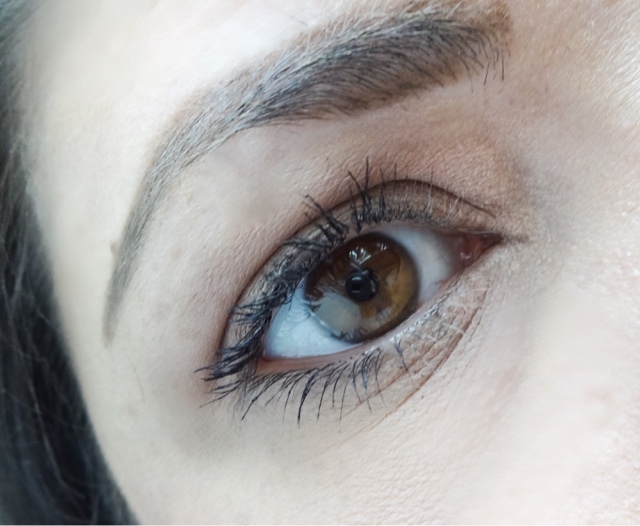 How a brow product holds up is majorly important. There's nothing worse than getting halfway through the day and finding that your carefully pencilled in brows have smudged out or faded away. They are extremely tricky to do well on the fly, so I prefer something I can do once that will then be locked in place until I get the micellar water out at night! I didn't wear it for 12 hours straight but it did last through a whole day without the need for touch ups or any smudging. As its waterproof, it would also be great to take on holiday as well. I don't mind not wearing a lot of makeup, but my brows and my concealer are two things I dont want to budge! Goof Proof Brow Pencil is actually pretty darn impressive. It lives up to its claim of being easy to apply, and the slanted tip makes shaping a dream. It gives the right amount of precision and softness at once. The silver packaging is gorgeous and very eye-catching, while the inclusion of a spoolie is ideal and makes this a one-stop deal for getting groomed arches. The best thing about this is the shade though, with the taupe-toned brown being ideal for a natural look. And with impressive staying power, there's no need to worry about top-ups. Although Benefit Goof Proof Brow Pencil is on the pricier side for a brow pencil, the fact that the waterproof formula is so good, the pencil is easy to apply and the shading is spot on makes it a winner. This product is a must-buy and I'll definitely be getting the full size. If you want to try out the Benefit Goof Proof Brow Pencil yourself, you can nab this travel size one absolutely free with this month's Elle Magazine. Race you to the newsagents!